Building Oak Haven – Sold! It’s been another busy week. Have I been saying that a lot? On Tuesday we closed on our current house. 15 days after listing. Amazing. Definitely a God thing. Especially since the new buyers generously let us stay until the 31st to finish moving. We spent the week packing up the rest of the boxes and I spent hours on the internet and the phone setting up our forwarding address. On Saturday, Jon’s dad, brother, two of the guys from his youth group, and one of the guys from our community group all came over to help us pack out our furniture and move it to our storage units. A sweet friend of mine also came over and helped me move the rest of my plants to our new home. 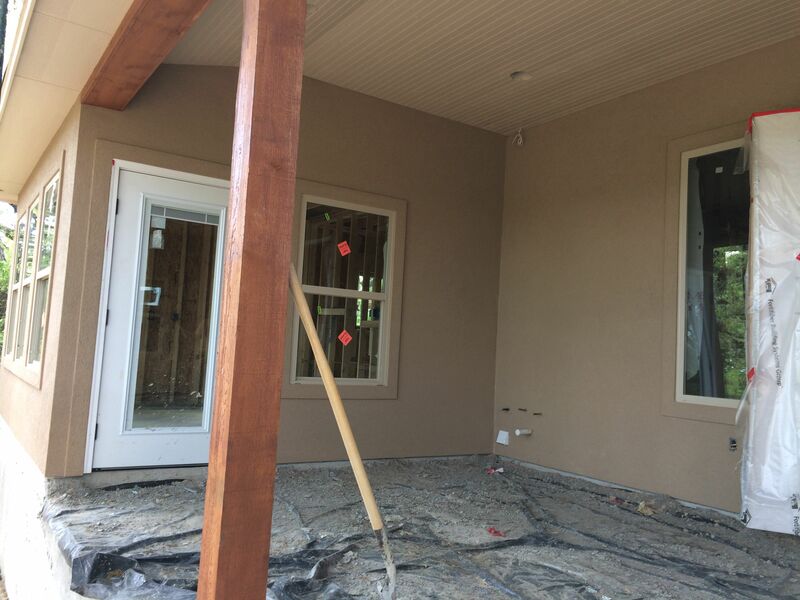 The stucco guys from JDR finished our stucco this week. Sherwin Williams Craftsman Brown with a lace pattern. I love how it turned out. 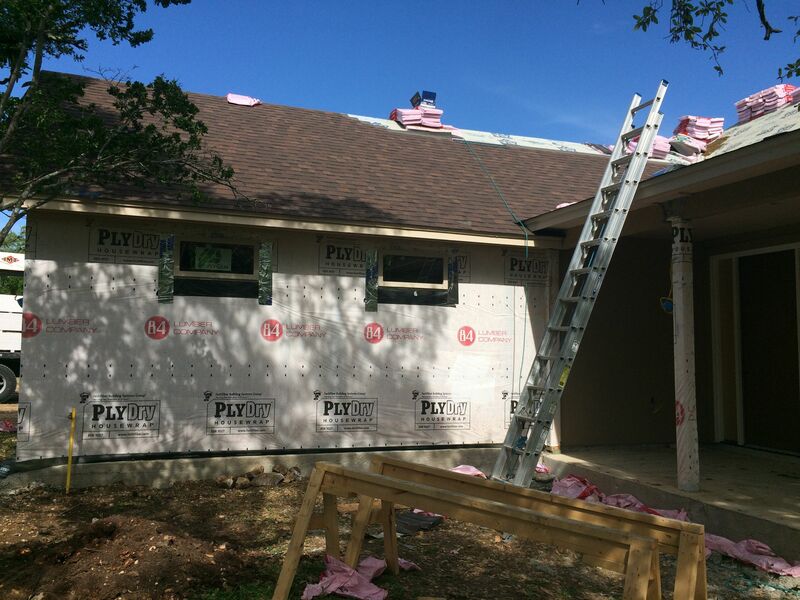 The roofers from Fry Roofing were also hard at work and we now have a shingled roof. Oakridge brownwood. 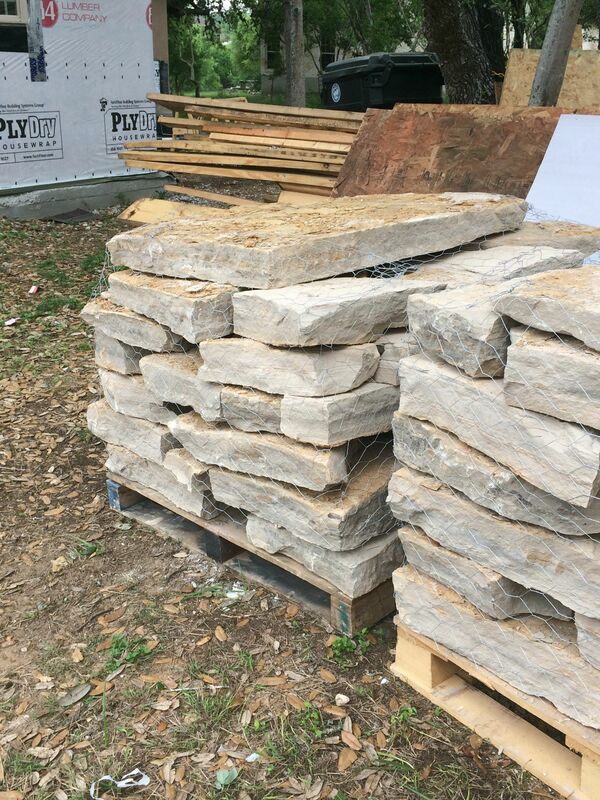 Our rock was delivered by Brookstone Ranch and will hopefully be installed this next week. It looks grey to me right now, but I’ve been assured it will have some nice red, brown, and cream colors under the layers of dust. This week, we’ll move into our camper, where we’ll stay until the house is finished. It’s small, but its been home before. We’ve stayed in it frequently when visiting family in Pennsylvania and also when we were house hunting when we first moved to Texas back in 2011. Our little dog, Wickie, is a bit concerned with all the activity. He has only known the house we are moving out of. Thankfully, he has made many road trips with us and is quite comfortable in the camper. Once we get settled, I know he’ll be fine. He’s happy to be wherever we are. Isn’t that what home is all about? This entry was posted in Hill Country Living and tagged Brook Stone Ranch, Country Living, Fry Roofing, JD Rameriz Construction, River Chase, Sherwin Willaims, Texas Hilll Country, UBuild It. Bookmark the permalink.